This Coffee Shop Just Introduced a Water Tasting MenuThere are notes of calcium and zinc. Anheuser-Busch Stopped Making Beer to Bottle Water for Flood VictimsThe company just shipped 50,000 cans of drinking water to Texas and Oklahoma. California’s New Regulation Requires Customers to Request WaterServers cannot automatically bring it out with menus. Aly Raisman Will Be the Face of Poland SpringThe Needham Olympian has liquid assets. 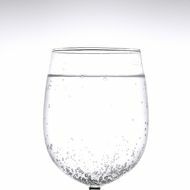 California Taps May Be Pouring Something Even Worse Than Treated Waste WaterTwo environmental groups are suing the state’s Department of Public Health over failing to set a satndard for carcinogenic chromium-6, made famous by Erin Brokovich. Would You Like Some Water With That Water?Whatddup, water-only café. Thyroid Treatments Blamed For Philly’s Radioactive Water; Starbucks MashesPlus: The Quaker Oats dude is getting a makeover; and the U.S. nixes plans to send food to North Korea, all in our morning news roundup. Qdoba Wants You to Pucker Up; There’s No Real Reason That Women Like ChocolatePlus water bottle woes and more, all in our morning news round-up. Italian Sparkling Water Plans to Burst Pellegrino’s BubblesIt’s gulping down New York. Gas Drillers Get the Go-Ahead to Stop Delivering Drinking Water; DirtyPlus: Details on how to “Chinese orange”; and Google gears up to release its “Ice Cream Sandwich,” all in our morning news roundup. Water Department Tries to Isolate the Source of Radioactive Contaminants inPlus: Women dominate at James Beard Awards; and many North Koreans eat wild grass to stave off hunger, all in our morning news roundup. Research Proves It! Beer Is Better Than Water!If it’s coming from scientists, it must be true. E. Coli Scare Prompts Recall of 23,000 Pounds of Lebanon Bologna; ObsessivePlus: Japan worries that its water and fish are radioactive; and Temple University receives grants to fight obesity among low-income preschoolers, all in our morning news roundup. E. Coli Scare Shuts Down Schools in NJ; Atlantic City’s Visitors Are SpendingPlus a new study says alcohol is more dangerous than crack and heroin, and North Korea’s new leader, Kim Jong-un, is “chubby,” all in our morning news roundup. Water WarsWhy we rejected the tap and turned to the bottle. Save State Money With Tap WaterA petition seeks to stop state spending on bottled water. Does the Crowd Ruin Dinner? ; Clubbing Goes GreenMarketing food to kids, hiring only female hostesses, rare cocktail books, and more, in our daily news roundup. Bye-bye, Bottled Water; Cheyenne Diner ClosedBottled water is becoming a faux pas, Cindy Adams takes the stand in the Patsy’s-vs.-Patsy’s trial, and the patrons of the Cheyenne Diner have one last meal there. The Tap Project Needs Your Restaurant The Tap Project, a UNICEF charity we’ve supported in the past, has a simple and elegant premise: If people paid one dollar for tap water in restaurants for a week, it would pay for a lot of clean drinking water in Third World countries. You can’t complain about the price — in New York, our tap water tastes better than a lot of brands that cost more. But UNICEF is looking for more participants to join the effort during World Water Week, March 16 to March 22. If you own or operate a restaurant, contact the Tap Project. You’ll be in good company: Participating establishments include Esca, Le Bernardin, and Gramercy Tavern. This Week: New Fusion, New Coffee, Repurposed Water The city’s newest food-fusion trend is Latin American and Italian cuisines, says the Underground Gourmet in this week’s magazine. Miranda in Williamsburg and Matilda in the East Village are leading the charge, and Rob and Robin alternate between calling it “Mex-Italian” and “Tusc-Mex.” (Our pick: “Mexcellente.”) Outside of our regular reading route, Intel has a dishy item about David Bouley — apparently, his Tribeca neighbors aren’t so thrilled about his proposed Brushstrokes restaurant. Back in the food section, it’s a difficult time of year for the Greenmarket, but that doesn’t deter Damon Wise at Craft for offering up this week’s “In Season” recipe: pan-roasted salsify. Gael Greene visits Smokin’ Q on the Upper East Side this week and enjoys the ribs and the thin-cut fries, though she could do without the owner’s jokes. Rob and Robin introduce us to three new restaurants this week, and we can’t wait to visit Terroir, the latest from Marco Canora and Paul Grieco. Also in “Openings”: an East Village coffee bar co-owned by Sasha Petraske and a new burger spot in the financial district. If a recession breeds good $4 burgers, it can’t be that bad. 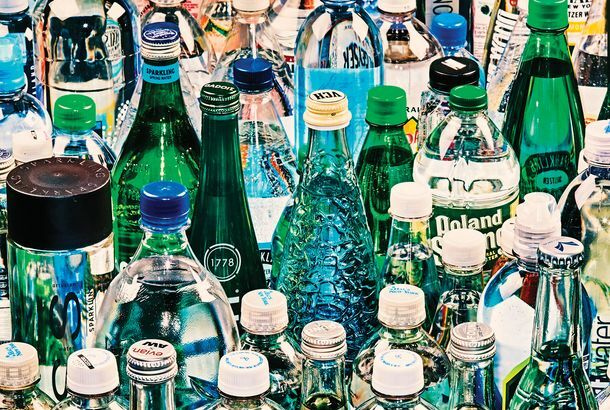 Finally, if you want to reduce bottled-water waste, we found four restaurants with a DIY approach to filtration and carbonation. Kristina Klebe of ‘Halloween’ Likes Her Yogurt With Pumpkin Seeds If you’re one of the many who saw Rob Zombie’s Halloween during its record-setting opening weekend, you last saw Kristina Klebe playing trash-talking cheerleader Lynda. You’ll probably next see her alongside Uma Thurman in Griffin Dunne’s comedy The Accidental Husband, in which she plays Isabelle Rossellini’s (fully dressed and much more conservative) daughter. In the meantime, she’s jetting between her hometown, New York (she used to bartend at Serafina), and her adopted city, L.A.“I love that I can walk back to a place after dinner,” she says of New York. “If you go out in L.A., you’re full and you just go out to your car and go home.” So where did she dine and dash during this week of auditions and director meetings? Perrier Wants to Get You DrunkWhen’s the last time you ordered a Vodka Perrier? Gin and Perrier? That overwhelming chorus of “never”s is deafening to Perrier executives, and they’ve taken their crack marketing team to the Lower East Side to remedy this situation. Last night at Fontana’s we received a bottle of “Crazier,” and a free drink made of pineapple juice, coconut vodka, and Perrier. And yes, it was as disgusting as it sounds.